Wow. The last couple of weeks have been exhausting. My father passed away at the end of June and it’s been a tough time in the weeks since. Emotionally tiring yes, but also physically draining with all the lifting, moving and packing. Not to mention the decision fatigue… so many things to decide. I tried to take time out for myself – I did some sessions at @crossfitradar in Port Stephens (where Dad lived), went for several walks on the beach and up Tomaree Mountain, and spent some time in my #happyplace – the kitchen. 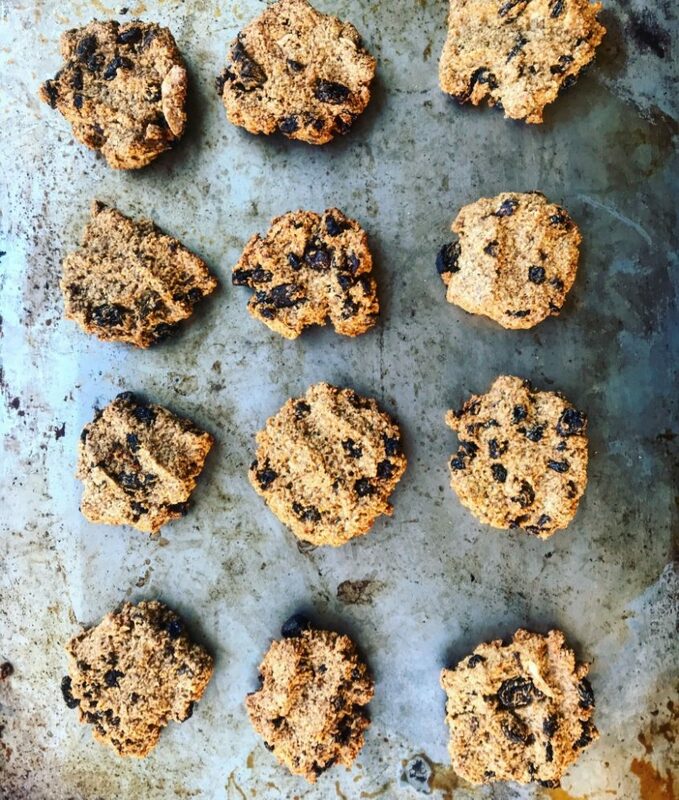 Dad had a few bits and pieces in his pantry, and I hate food waste so I used them to make a couple of batches of these Oat, Peanut Butter & Fruit Cookies. They were great snacks while we were packing and perfect for Mum and I on our road trip back to Brissie. 🍪1 heaped Tbsp smooth peanut butter . Optional – add some choc chips if you have them! Place the oat ‘flour’, dried fruit, spices in a bowl and combine. In a separate bowl, whisk together the eggs, coconut milk, peanut butter and vanilla. Add the wet ingredients to dry and combine well. Form into Tbsp-sized cookie portions and place on a greased baking tray, flatten by pressing down. Bake cookies for 20mins. (You could also just put all the mixture in a loaf tin and make it a loaf).